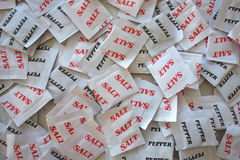 Health Inspectors have confiscated 200 packets of fine salt from a named merchant in Kasempa district, North-western province, which expired in December 2018, but was still being sold. The confiscated salt is valued at K17,000 and has been stored at the district health office store room awaiting a court order for disposal. And various assorted items were confiscated from various shops. The development has worried inspectors as the trend comes after continuous sensitization on the Competition and Consumer Protection Act which prohibits the sale and supply of defective and expired goods. ZANIS reports that Kasempa District Health lnspector Yubai Ngenda confirmed in an interview that the named company was hiding the expiry dates of their products by packaging the salt in 20 kilogramme bags. “We can acknowledge though that we have seen an improvement in traders adhering the CCPC Act because most of the traders do reduce and remove products that are about to expire from their shelves,” he said.